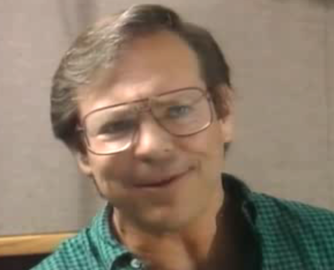 Franklin Wendell Welker is a voice actor. He is best known for his role as Fred Jones from the Scooby-Doo franchise since its conception in 1969. He is the only original voice actor still with the Scooby-Doo franchise since the death of Casey Kasem on June 15, 2014. He has also voiced Scooby-Doo since 2002, and provided the voice of Megatron in the Transformers franchise, specifically Transformers G1 and Transformers: Prime. He is also well known as both the vocal effects and the voice of Nibbler in Futurama. In 1978, he played the title character on Fangface and later in its spin-off, Fangface and Fangpuss, and also voiced Heckle & Jeckle and Quackula on The New Adventures of Mighty Mouse and Heckle & Jeckle, and Droopy on The Tom and Jerry Comedy Show. He also voiced various characters on The Simpsons, such as Santa's Little Helper, Snowball II, and various other animals from 1991 to his departure from the show in 2002. Welker provided both the speaking voice and animal sounds for Nibbler on Matt Groening's Futurama. He provided the voices for Mr. Plotz, Runt, Ralph the Guard, Buttons, and other characters on Animaniacs, Gogo Dodo, Furball, Beeper, and others on Tiny Toon Adventures, Pepé Le Pew on The Sylvester & Tweety Mysteries, and McWolf the main antagonist to Droopy and his nephew Dripple on Tom and Jerry Kids Show and Droopy, Master Detective. Welker has also created the vocal effects for many animals and creatures in films, including the monkey Abu in Aladdin (1992), its two sequels, and the television series, Arnold the Pig in the television film Return to Green Acres (1990), the Martians in Tim Burton's Mars Attacks! (1996), and the penguins in Mr. Popper's Penguins (2011). He performed as voice double for Leonard Nimoy in Star Trek III: The Search for Spock (1984) and voiced The Thing in The Golden Child (1986), Jinx the robot in SpaceCamp (1986), Totoro in the 2005 English version of Studio Ghibli's film My Neighbor Totoro (1988), Alien Sil in Species (1995), Malebolgia in Spawn (1997), and Gargamel's cat Azrael in Sony Pictures Animation's live action/animated film versions of The Smurfs.